You are here: Home > Wireless Infrastructure or Running Wires? Wireless Infrastructure or Running Wires? Many companies, particularly those with older buildings, are shying away from running wires at all. These businesses are choosing instead to expand their network and support more users by installing wireless infrastructure. Wireless options do require some wiring, but only at specific access points, which provides several key advantages. Wireless systems can be used not only to replace a wired infrastructure, but also to serve as a secondary infrastructure that runs simultaneously alongside the first. This situation allows visitors and temporary employees to gain easy access to services while keeping the underlying network secure. 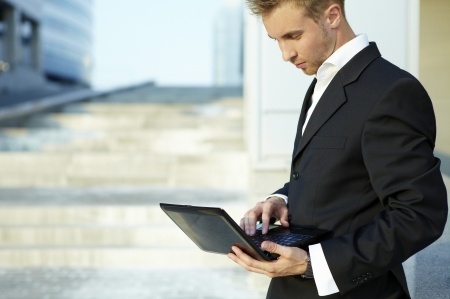 Wireless is also ideal for companies that encourage the use of external devices. The use of personal devices in the workplace is a rapidly increasing phenomenon, particularly for businesses with telecommuters and frequent travelers. A wireless infrastructure can provide “host areas” to quickly and easily accommodate these devices, making it seamless to go from home to office or from office to hotel. Wireless is still a developing technology, and Axis Technical anticipates a good deal of future growth in this area. In response, the team is actively training and preparing for the anticipated increase in sales and installation.